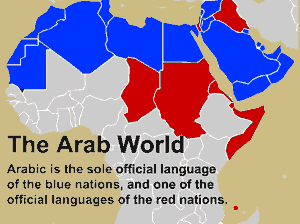 People who speak Arabic as their primary language are known as Arabs. Traditionally, the Arabs lived on the Arabian Peninsula, but the language and culture of the Arabs spread throughout the Middle East with the expansion of Islam. Arabic is the language of the Quran, the holy book of Islam. 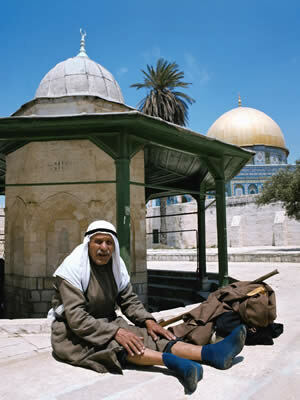 Today more than 250 million Arabs live throughout the world. Arabs constitute the substantial majority of people in Saudi Arabia, Syria, Yemen, Oman, Bahrain, Qatar, the United Arab Emirates, Kuwait, Jordan, Lebanon, Iraq, Sudan, Egypt, Libya, Tunisia, Algeria, and Morocco. A century after the death of Mohammad in AD632, belief in Islam spread as far as Spain in the west to northern India in the east. Arab merchants and traders extended their influence to as far away as Southeast Asia. Today the nation with the largest Muslim population is Indonesia, a group of islands in Southeast Asia far from the Arab world. The Arabs were interested in learning and in other cultures. Western Europe was in a period often called the “Dark Ages” from about AD500 to AD1000 because the civilizations of Greece and Rome had been extinguished. During that time, Arabs made great advances in mathematics, medicine, and physical science. Algebra and Chemistry are both Arabic words. Many Western Europeans once used Roman numerals until they discovered the more efficient Arabic numbers we use today.